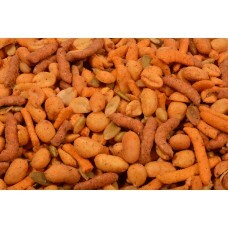 California Trail Mix - Apricots, Almonds, Cashew Splits, Dates, Raisins, Banana Chips, Sunflower Seeds, Walnuts, and Coconut-1 lb. 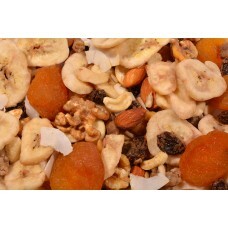 California Trail Mix - Apricots, Almonds, Cashew Splits, Dates, Raisins, Banana Chips, Sunflower Seeds, Walnuts, and Coconut. Select from 1 lb. and 5 lbs. 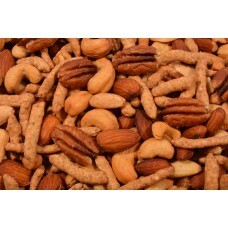 Cashew-N-Stix (Roasted/Salted) - Cashews, Sesame Sticks, Pecans, and Almonds-1 lb. Cashew-N-Stix (Roasted/Salted) - Cashews, Sesame Sticks, Pecans, and Almonds. Select from 1 lb. 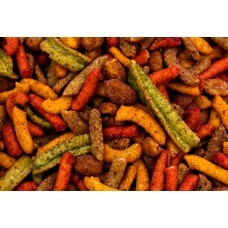 Cajun Mix (Roasted/Salted) - Hot-N-Spicy Peanuts, Pumpkin Seeds, Hot Cajun Corn Sticks, & Cheddar Sticks.-1 lb. Cajun Mix (Roasted/Salted) - Hot-N-Spicy Peanuts, Pumpkin Seeds, Hot Cajun Corn Sticks, & Cheddar Sticks.. Select from 1 lb. Fiesta Mix - Hot Cajun Corn Sticks, Black Bean Corn Sticks, Churritos (Hot), Honey Roasted Peanuts, Guacamole Bites-1 lb. Fiesta Mix - 1 lb. 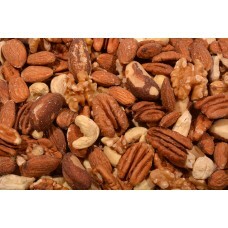 Hawaiian Trail Mix -(Roasted/Salted) Almonds, Pineapple, Papaya, Dates, Raisins, Walnuts, Roasted Peanuts and Cashew Splits-1 lb. 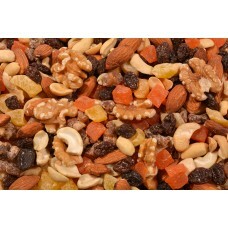 Hawaiian Trail Mix - Almonds, Pineapple, Papaya, Dates, Raisins, Walnuts, Roasted Peanuts and Cashew Splits. Select from 1 lb. 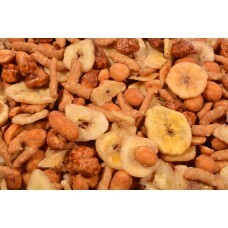 Honey Roasted Mix - (Roasted/Salted)Honey Roasted Peanuts, Banana Chips, Butter Toffee Peanuts & Sesame Sticks.-1 lb. Honey Roasted Mix - Honey Roasted Peanuts, Banana Chips, Butter Toffee Peanuts & Sesame Sticks. Select from 1 lb. 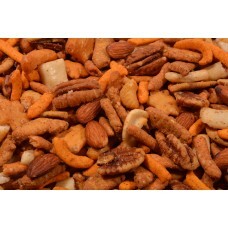 Melrose Mix (Roasted/Salted) - Almonds, Cheddar Sticks, Garlic Sticks, Rice Crackers, Cashews, Pecans and Hot Cajun Corn Sticks-1 lb. Melrose Mix (Roasted/Salted) - Almonds, Cheddar Sticks, Garlic Sticks, Rice Crackers, Cashews, Pecans and Hot Cajun Corn Sticks. Select from 1 lb. 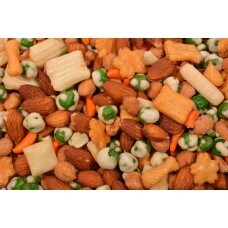 Oriental Mix (Roasted/Salted) - Honey Roasted Peanut, Wasabe Peas, Rice Crackers, and Almonds-1 lb. Oriental Mix (Roasted/Salted) - Honey Roasted Peanut, Wasabe Peas, Rice Crackers, and Almonds. Select from 1 lb. 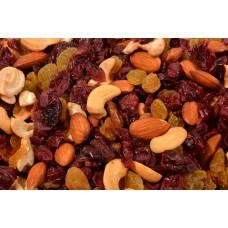 Roasted Berry Trail Mix (Roasted/Salted) - Cranberries, Golden Raisins, Roasted Cashew Splits and Roasted Almonds-1 lb. Roasted Berry Trail Mix - Cranberries, Golden Raisins, Cashew Splits, Almonds Roasted & Salted in Peanut Oil. Select from 1 lb.